Up to 80 Containers per Minute (Speed Depends up on the length of label and diameter of product and Operator Skills). Self Adhesive Sticker Labels in Roll Form having consistence 3 mm gaps between the 2 labels. 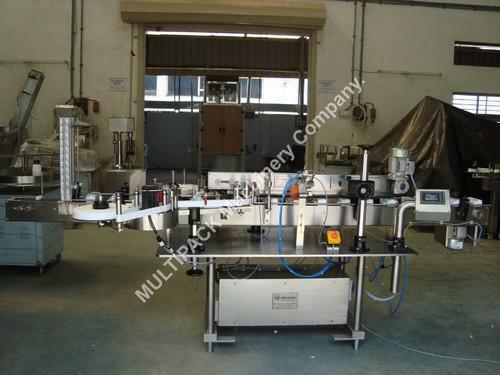 Automatic horizontal Top labellers, Top side self adhesive sticker labelling machine , top self adhesive sticker labelling machine is suitable to apply self-adhesive labels flat surfaces like boxes, cosmetics, packets, Pouch and bags, books, envelopes, cartons, food trays, Bottle , containers, blisters etc. This pressure sensitive top labeling machine can be integrated onto existing production lines or be fed manually, top labeling sticker machines are used many labeling application like labeling equipments , anti-counterfeit/product safety measures application and bar code application. Sample products labeled with these units include baby wipes labeling machine, batteries labelling machine, dairy products labelling machine, first aid kits box labelling machine, herbs labelling machine, manuals label applicator, bakery products labeling machine, medical instrument labeling machine, machine parts label applicators, confectionery labeling machine and many others. Labels Requirement Self Adhesive Sticker Labels in Roll Form having consistence 3 mm gaps between the 2 labels. The Carton box security seal labeling machine is a automatic, high-speed, front and back labeller machine as well front and back carton labeling with top label applicator also model buy many customer to apply label top side on carton as well double side . 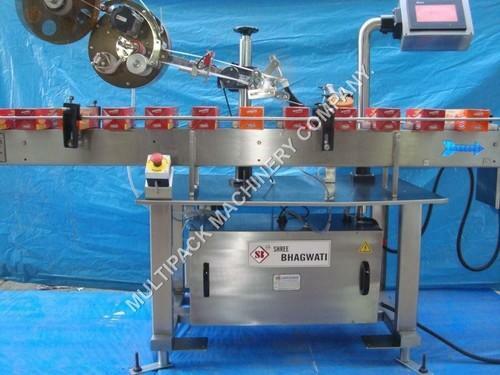 This sophisticated model with hologram sticker labelling machine is highly suitable for applying hologram stickers on a variety of labels and film rolls that are commonly utilized in the secondary packaging . front and back labelling systems are extremely durable, efficient and easy to operate. This front & back labeller can be installed quickly and contains no change parts to be adjusted providing easy operations and low maintenance. Equipped with intelligent technology, It is especially designed to apply small-sized labels on film role for security label application. This security label applicator has the capacity to label maximum 300 units per minutes, based on the length of the film roll. Our security label applicator machine is the SERVO Base or microprocessor controlled system for dispensing label applicator unit; as well as a highly user-friendly sensing system for the labels and the product rolls. 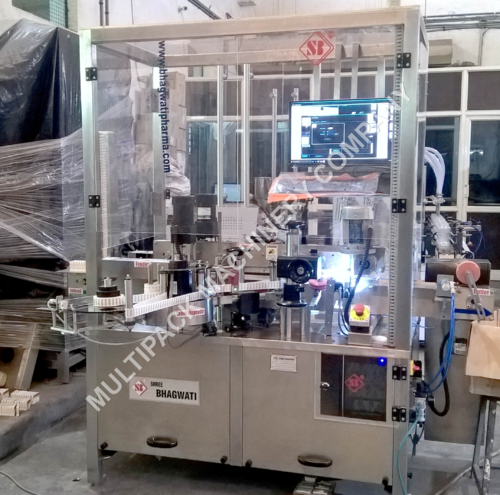 Besides this model, we also have a vast range of other machines which can be used as a carton and box security label applicator and also for quickly and accurately applying holograms on many other types of products. This up to date equipment saves your valuable time and overall expenses for security label application. Further, it uses a reliable PLC controlled system, front and back labellers can label up to 300 bottles per minute. The labeller system comes equipped with a colour touch-screen for easy accessibility.for the labelling head to ensure ease of operation. This robust machine also includes a high-speed, imported and totally synchronized stepper motor and a servo motor for the labelling heads; as well as an A.C. brushless motor for all the other drives. 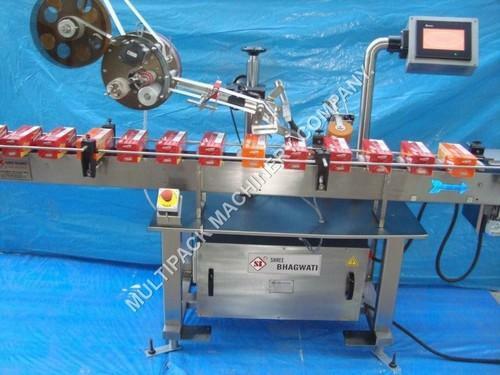 It even has a centralized and aligned sponge belt, squaring chain, and nylon screw worm, in order to precisely align the products without changing the parts. The Two side carton Sticker Labelling Machine applying Two Side Security Labels in “L” Shape on Two side of Cartons with speed up to 300 carton per minute depending on cartons and label size with respect of Product Size, Shape, Product movement direction and Label size. 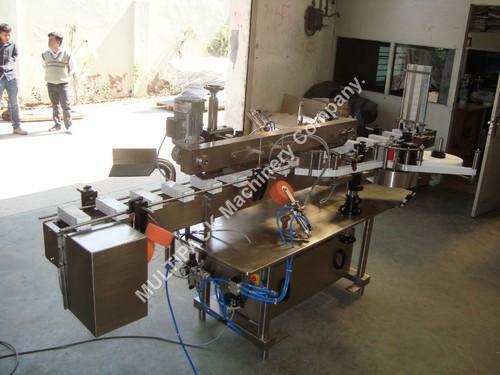 Carton security seal labelling Machine suitable for all type Cartons. 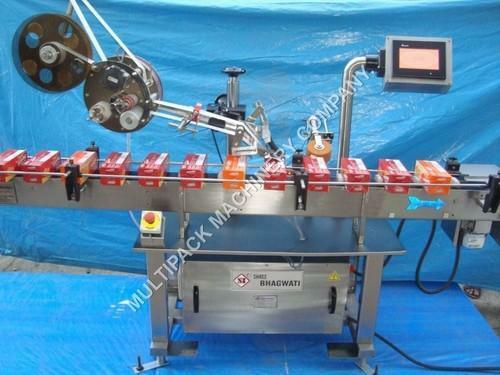 Carton box labelling Machine can be used for Off-Line or On Line application, end user/ customer require to send us sample of cartons and also detail of carton position while movement as the position of carton is important and required to feed and desired position for two side or three side label application. Label Length 8 to 300mm. Product Holding Specially designed high quality timing belt with cushion type top holding belt. Up to 200Containers per Minute (Speed Depends up on the length of label and diameter of product and Operator Skills). Looking for “Carton Sticker Labelling Machine”?